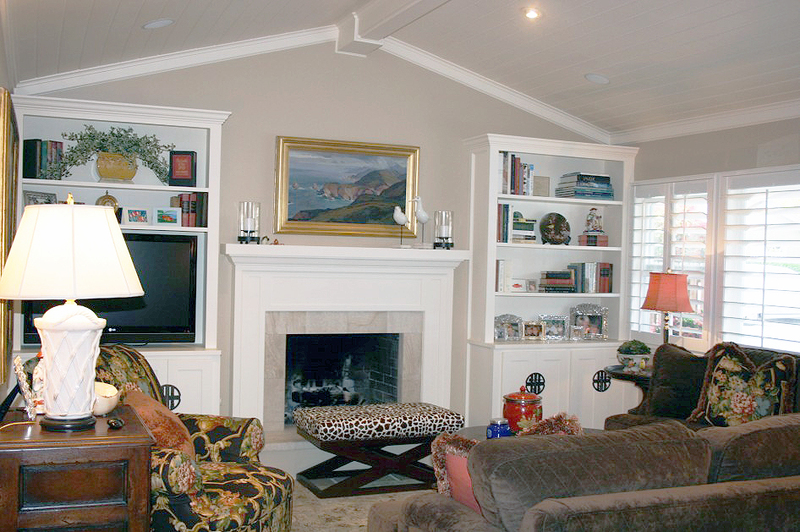 The unfortunate events of the Tea Fire left the owners original house a complete loss. 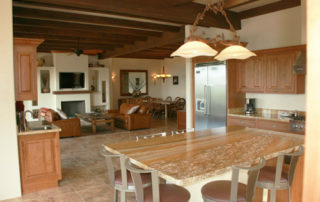 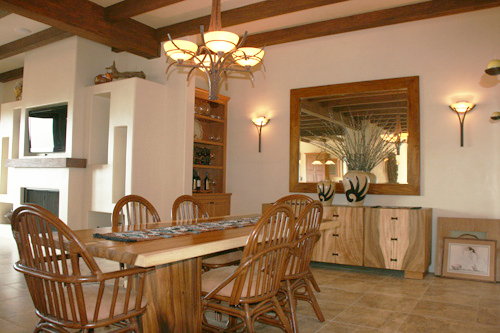 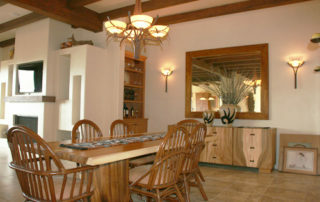 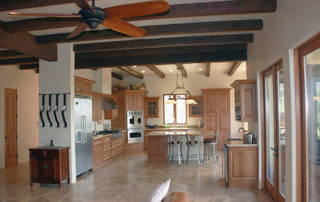 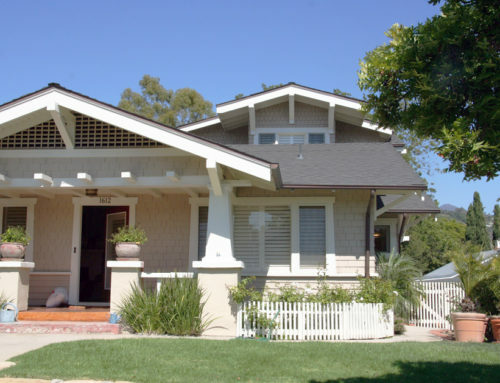 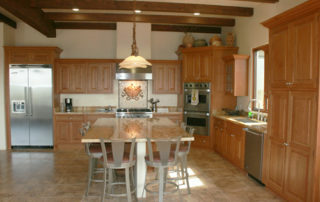 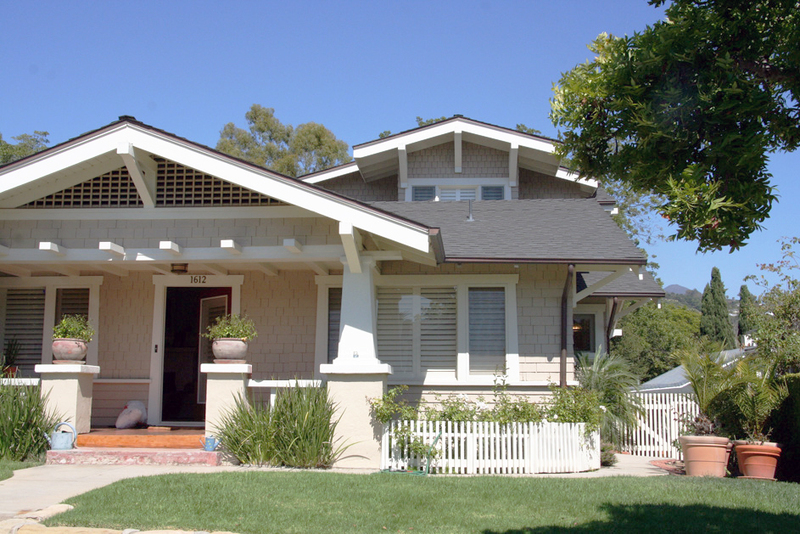 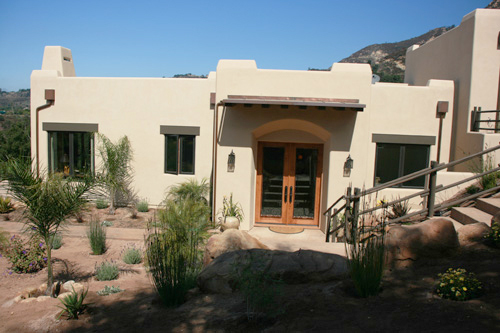 But in its place is the Owners vision of a spectacular Santa Fe style home. 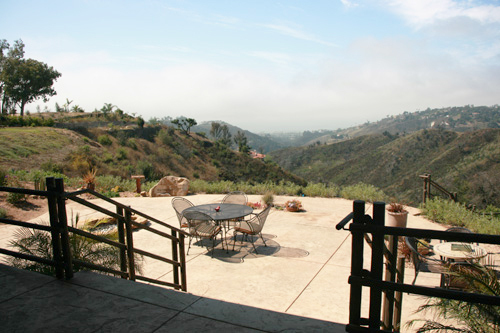 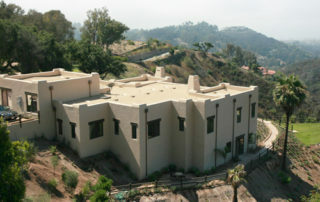 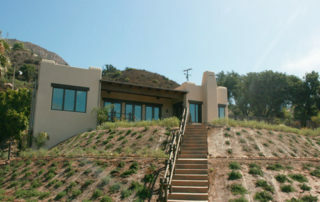 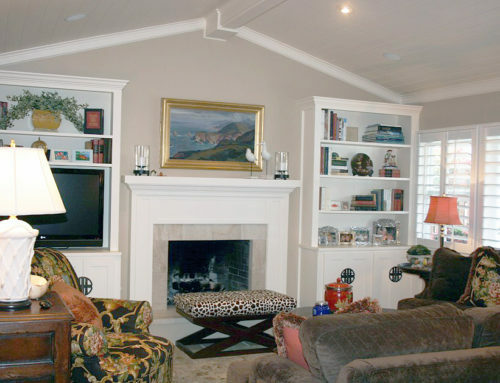 The new custom built home was repositioned to take advantage of the huge sweeping views from the Montecito foothills. 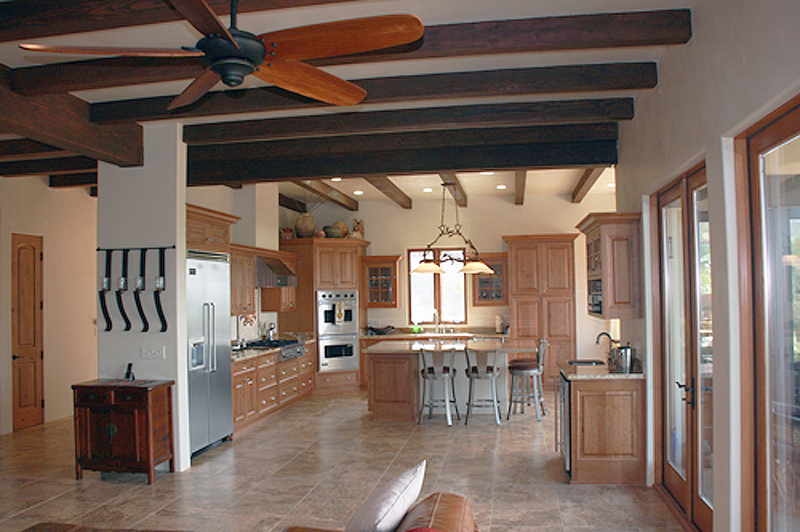 A dramatic entry leads you into a wide open floor plan with high beamed ceilings and spectacular custom kitchen. 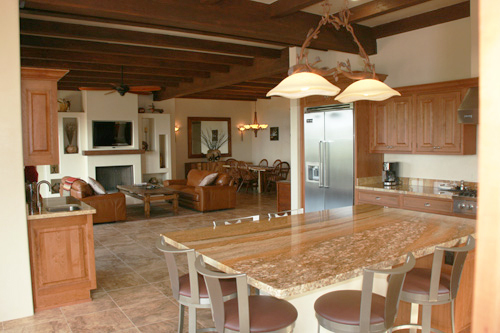 The natural transition from indoor space to outdoor space makes it perfect for everyday living, and wonderful home for entertaining. 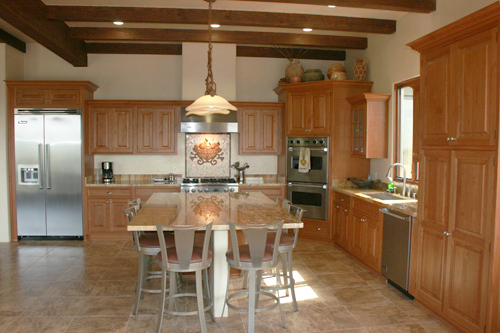 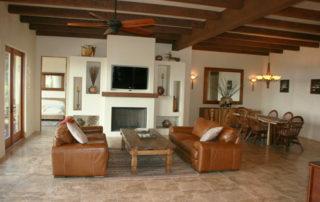 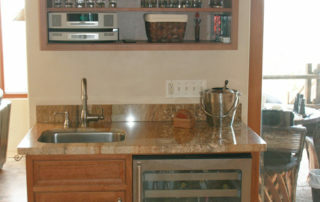 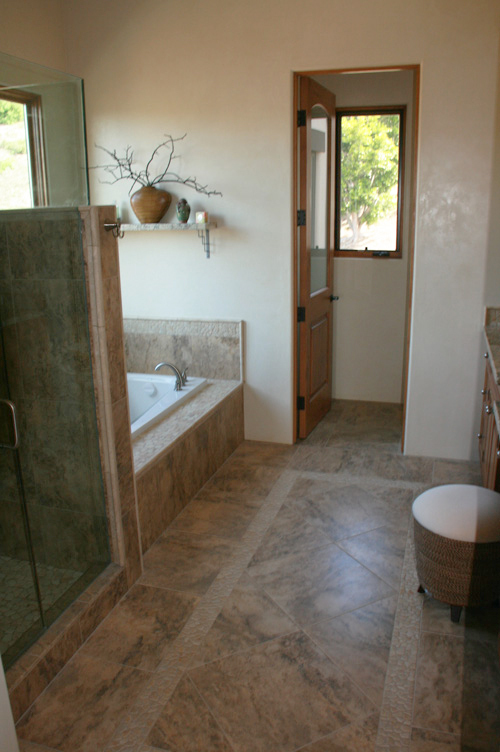 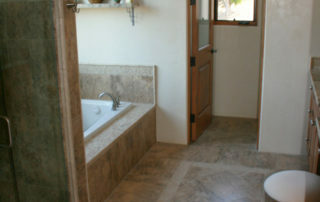 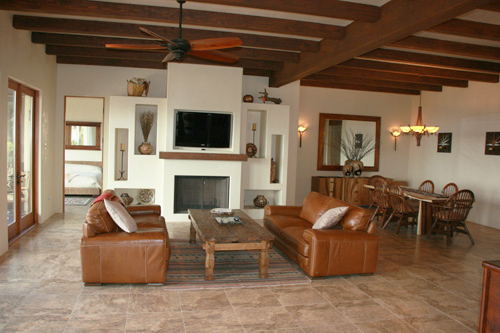 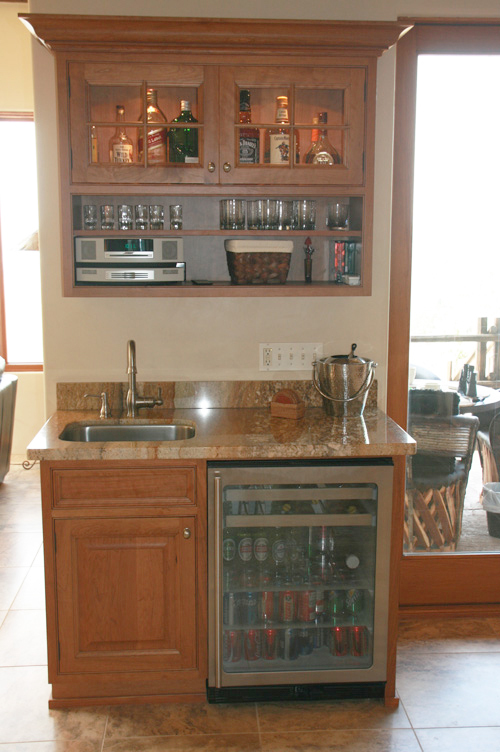 Stone floors throughout, with a water radiant heat system, makes the house as comfortable as it is beautiful.